In this series we are dealing with a very sensitive issue but something that is very common in today’s times. 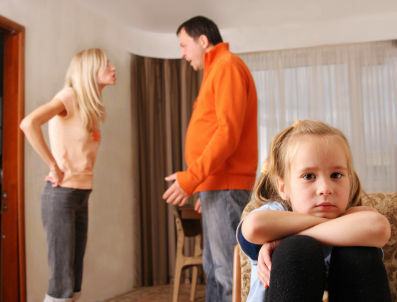 As tough a divorce is for a couple it is equally difficult for kids and children in the house. It would not be wrong to say that a divorce affects an entire family. Even if an individual may try to keep children away from this, they tend to get involved. Effort needs to be put in to make it least painful for the children. In addition to taking care of your child it is equally important to take care of yourself. Some steps you can take towards this are to exercise often and eat a healthy meal. Meet your friends often even if you feel real gloomy. It may be difficult to answer their questions but their company will serve as an effective distraction. Avoid sharing negative feelings with your children. If need be do not hesitate to visit a therapist or a counselor. Conflict between parents whether separated or going through the process of separation can be damaging for the kids. Keep the children away from the fights in order to make them feel as if they are to choose between you. It may once again sound difficult, but the point is it has to be done. You could make it a point not to argue in front of the children. Simply take your arguments some place where your children are not around. Do not share all negative details about your ex behavior with your child. If nothing pleasant can be said, it is best to be quiet. Try and be as cordial as possible while interacting with your spouse irrespective of the fact your child is present or not. Focus on the strengths of the family for this will also encourage your children to do so. Make some extra effort to maintain a cordial relationship with your ex spouse. Your friendship with the ex can be very very reassuring for the child. Parents divorce may be extremely challenging for some, while for others it may not be that demanding. Children experience a range of emotions – anger, anxiety and even depression. Love and reassurance and loads of patience the child should be able to heal and recover. If children continue to be weighed down by their emotions and environment around it is time to seek help. Some signs to watch out in children are – sleep disorders, lack of concentration, eating disorders, tendency to injure self, outbursts of anger or violent behavior, being often in trouble at school and playground, withdrawal from company of loved ones and favorite activities. Watch out for these signs and bring them up with the doctor, teachers or take professional help from a therapist. Time and again you will have to remind yourself of the big picture. In the big picture remember your child wants a relationship with both the parents and does not want to choose between his parents. Your child’s physical, mental and emotional growth is a priority with you. This requires lots of planning and staying calm. Work for happiness of all – children, the ex spouse and yourself. A broken family is never a pleasure for anyone. Separation is better than fighting and living in hell every day. But if there is slightest of a chance for reconciliation, a suggestion that I ended up giving one such couple was to discuss all their matters at a public place. The idea behind this was that they would be comparatively poised and behave better than they would in the house when they are all by themselves. Less dirt would be thrown at each other.